Photo courtesy of Natalie Battaglia Will Rodriguez will start work as Loyola's new dean this November. 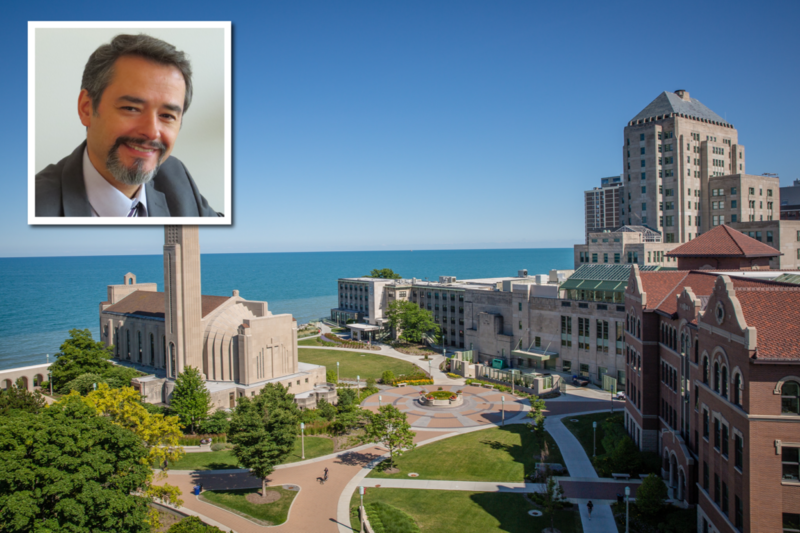 After a selection process that started in June, Loyola will welcome Dr. William Rodriguez as its new dean of students on Nov. 13, according to an announcement made on Sept. 19 at a Student Government of Loyola Chicago (SGLC) senate meeting. The Office of the Dean of Students at Loyola is in charge of various departments within the university that provide resources and advocate on behalf of students. These departments include Student Activities and Greek Affairs (SAGA), Student Diversity and Multicultural Affairs, the Office of Student Conduct and Conflict Resolution (OSCCR) and Student Leadership and Development. The position has been empty since former Dean of Students K.C. Mmeje left Loyola to accept the position of vice president of Student Affairs at Southern Methodist University in Dallas in June. Since then, Director of Residence Life Deb Schmidt-Rogers has been acting as interim dean of students. Rodriguez is currently the associate dean of students at the University of Illinois at Chicago (UIC), a position he’s held there since 2006, and before that he served as a counselor and director of Student Development Services at UIC since 1993. During that time, he was also an instructor at St. Augustine College — a bilingual institution in Chicago — according to his resume. Rodriguez is bilingual and speaks Spanish fluently. Rodriguez is a Loyola alumnus and lifetime Chicagoan who grew up in the Lincoln Park area and graduated from a vocational high school. “I didn’t go to college after high school. We didn’t have a counselor who would help us with college applications, so I worked in a factory for a year after high school,” Rodriguez said. Though Rodriguez has a master’s degree in adult continuing education from Northern Illinois University and a doctorate in higher education from Loyola, he said school was difficult for him as a first-generation college student. “I came from a background where I wasn’t really prepared,” Rodriguez said. After deciding that working in a factory wasn’t what he wanted to do with his life, Rodriguez attended Felician College — now called Montay College — for an associate’s degree. He then went on to complete his undergrad, majoring in history, at University of Illinois at Chicago. Rodriguez didn’t decide he wanted to work in higher education until after he finished his undergraduate degree at UIC. Rodriguez’s active participation in student organizations and student government caught the attention of school administrators, who recommended he apply for a job at UIC. “Almost immediately after graduating, I started working in higher education,” he said. 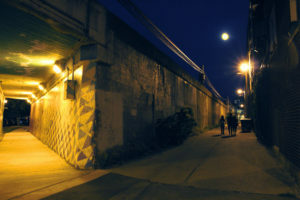 Even though UIC allows its employees to attend classes at its university for free, Rodriguez chose to pursue his doctorate at Loyola, which he completed in 2016. Despite having spent time on Loyola’s campus as a graduate student, Rodriguez said he is hesitant to speak about what he plans for his tenure as the new dean. Rodriguez indicated he would make increasing diversity at Loyola a priority. Loyola students and faculty are predominantly white, according to the school’s 2016 Annual Diversity Report. The report showed that Loyola’s undergraduate students are 64 percent white, while faculty are 84 percent white. “In order for today’s college student to be successful in the workplace, you have got to be a global citizen. You have got to have a good understanding of what it means to work with people of different backgrounds,” Rodriguez said. Anthony Lazzeroni, a junior, said he thinks Loyola’s lack of diversity is tied to the school’s high cost of tuition. “Maybe we should lower the tuition so upper-class applicants don’t have a big advantage,” the 21-year-old mathematics major said. How Rodriguez will handle taking charge of SAGA and OSCCR is of particular note, as multiple student organizations and fraternities have been suspended in recent months for a variety of different policy violations, including alleged hazing, fundraising and fraud. The incoming dean said he sees student conflict resolution and disciplinary actions as opportunities to educate. When asked specifically about how he has handled cases of hazing, Rodriguez said he has required UIC fraternity members to go through training to prevent hazing, attend seminars and in some cases, talk to experts in hazing prevention. Rodriguez accepted the offer to become Loyola’s new dean of students on Sept. 22 after a lengthy selection process conducted by the Office of the Dean of Students, according to an email sent to The Phoenix from Deborah Schmidt-Rogers, the assistant vice president and director of residence life. “[Dr. Rodriguez] is smart [and] loves Loyola and the experiences he had here as a doctoral student, which certainly have helped him to understand our mission,” Schmidt-Rogers said in the email. 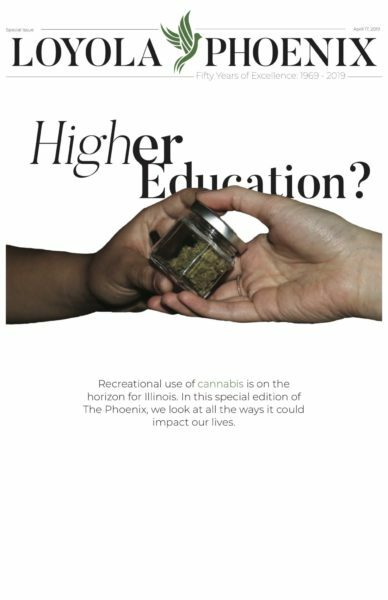 Vice President of Student Development Jane Neufeld also sent an email to The Phoenix expressing her confidence in the new dean.